The All-State Lions Band welcome applications from all students, regardless of their financial situation. Members are responsible for their own tour fees, but there are a variety of ways and means to seek assistance. 1. 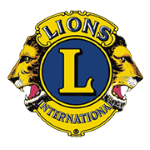 Check with your local Lions Club and see if they would be willing to help. The club will often help a student in need. Download a sample letter/email you can send to the club president. This sample letter is a Word document that you can edit. Once you've downloaded the letter, customize it with your information and mail it to the club or club president. It is better for participants to sign their own names, rather than parents; clubs like to hear from those they support directly. If you need assistance in locating a club, contact us and we will help. 2. Go to local businesses and show them you letter of acceptance. Let them know you want to represent your community. 3. Talk to your band boosters. The benefits of being part of the Lions Band will help your programs back home. You will read more music literature in one week than in many years in your own programs. At International you have the opportunity to be in marching band, concert band, and jazz band. You will improve! The directors are all experienced with many years of experience.